Due to its stunning rural location, The Royal Arms in Sutton Cheney, Leicestershire, is the ideal venue to hold your wedding or civil ceremony. Our reputation is founded on providing the highest possible level of care and attention to your individual needs in order that you and your guests enjoy every aspect of the day. With a portfolio of more than 500 weddings in the last 12 years, we offer numerous options for venues at our hotel and our dedicated, highly qualified staff will tailor our services to your needs and ensure that your special day is unique and unforgettable. Attention to detail is important to us and you receive a warm welcome along with excellent service, quality food, and an overall great experience at our breathtakingly beautiful wedding venue. The Royal Arms is considered to be one of the county’s best kept secrets, providing guests with only the very best in exclusive hospitality. If you are looking for an idyllic, picturesque venue to create the perfect ambiance for your wedding, The Royal Arms can provide you with exactly what you are looking for. We can cater for all numbers from smaller, more intimate parties of 12 to the larger, more extravagant parties of up to 250, from cosy private dining rooms to a large and spacious marquee. We are licensed to hold Civil Ceremonies for up to 65 guests, and can offer weekday or weekend weddings throughout the whole year. To make your day unforgettable, our experienced team will listen to you and guide you every step of the way. We welcome the opportunity of discussing your specific wedding plans in further detail and showing you the facilities that we have to offer at our hotel. 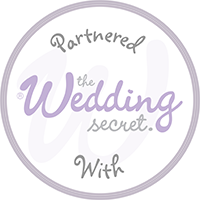 Throughout the planning of your day you will have your own dedicated wedding co-ordinator to help guide and reassure you from start to finish. If we can be of any further assistance, please do not hesitate to contact us and we will send you a brochure, or arrange a meeting for you to view our venue and discuss your plans. We have ample parking space for up to 150 cars so you are able to invite all of the people closest to you. As well as a stylish chocolate fountain, a vintage ice cream bike, a candy floss machine and many other interesting extras. The Royal Arms boasts a vast selection of impeccable facilities to suit your requirements. We are licensed to hold Civil Ceremonies at The Royal Arms for up to 70 guests in either our main restaurant or in the Dovecote Suite, both boasting a unique atmosphere in which to tie the knot. To arrange a viewing please get in touch. CONTACT our country hotel in Sutton Cheney, Leicestershire, for more details about a wedding venue.